Paula is a Partner in Osler’s Corporate Department specializing in energy and construction law and is Co-Chair of the firm’s Construction and Infrastructure practice group. Paula’s practice focuses on the construction, development, acquisition and divestiture of energy and infrastructure projects in Canada and abroad. She has experience in oil, gas, oilsands, LNG and power transactions and project development and engineering, procurement and construction matters, including negotiating and drafting asset and share purchase and sale agreements, joint venture agreements, partnership agreements, joint operating agreements, processing, transportation, storage and marketing agreements, commodity purchase and sale agreements, construction, ownership and operation agreements, engineering, procurement and construction contracts and service related agreements. 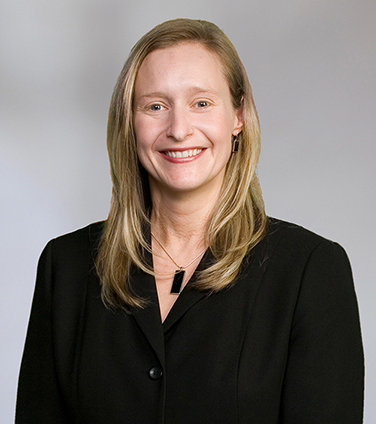 Paula’s practice is complemented by experience as legal counsel to the chemicals and petroleum business unit of one of the largest publicly traded engineering companies in the world where she was responsible for advising on a broad range of business and legal issues and representing the company in the bidding, award and execution phases of its domestic and international projects. KANATA Energy Group in its joint venture with TAQA North to expand the Valhalla Facility. Veresen Inc. on the sale of its Canadian power generation business, including its gas-fired, hydro, wind, waste heat and district energy businesses, to three purchasers for $1.18 billion. NaturEner Canada and its subsidiaries on all aspects of the development of their Wild Rose 1 and Wild Rose 2 wind power projects in southern Alberta. Steel Reef Infrastructure Corp. on the acquisition of certain gas processing and gathering facilities in Alberta and Saskatchewan and on their gas processing arrangement. SemCAMS on engineering, procurement and construction matters for its Wapiti Gas Plant in Alberta. Aspenleaf Energy Limited in its acquisition of NEP Canada ULC. PetroChina Canada Ltd., on its partnership with TransCanada Corporation and its affiliates to construct, own and operate the Grand Rapids Pipeline System and its commitment to ship on the system. PetroChina Canada Ltd., in its development of the MacKay River Commercial oil sands project, including all aspects of the design, engineering, procurement and construction of the Central Plant and related pipelines and facilities, and in its development of the Dover oil sands project. ConocoPhillips Canada Resources Corp. and its subsidiaries on their disposition of certain Western Canadian oil and gas assets. Meikle Wind Energy LP, an affiliate of Pattern Energy, on the project development and financing of its 180 MW Meikle Wind Power Project in British Columbia. Stolt LNGaz Inc. on all engineering, procurement and construction matters for its LNG liquefaction plant and related facilities to be located in the Bécancour Industrial Park, Quebec. Veresen Inc. in the development and project financing of its Grand Valley Wind Power Projects in Ontario. Greengate Power Corporation on all aspects of the development of the 300 MW Blackspring Ridge Wind Project and the sale of the Blackspring Ridge Project to Enbridge Inc. and EDF Canada Inc., which is the largest operational wind power project in western Canada, and the development of the 150 MW Halkirk Wind Project and the sale of the Halkirk Project to Capital Power L.P.
Apache Canada Ltd. and Chevron Canada Limited on all aspects of engineering, procurement and construction agreements and master service agreements for the Kitimat LNG terminal and Pacific Trail Pipeline. Total E&P Canada Ltd. on the formation of a strategic oil sands alliance with Suncor Energy Inc. and its affiliates, encompassing the Fort Hills Mining Project, the Joslyn Mining Project and the Voyageur Upgrader Project, and on the later disposition of its interest in the Voyageur Upgrader Project back to Suncor Energy Inc.
Canada’s Oil Sands Innovation Alliance (COSIA) on the organization, structure and development of an alliance of oil sands producers focused on accelerating the pace of improvement in Canada’s oil sands through collaborative action and innovation. China National Petroleum Corp. in a proposed joint venture with Encana Corporation relating to the development of unconventional gas assets in Western Canada. Talisman Energy Inc. on aspects of its acquisition, with EcoPetrol S.A., of BP Exploration Company (Columbia) Limited. China Investment Corporation on its $435 million purchase of a 5% interest in the equity of Penn West Energy Trust and its agreement with Penn West to form a partnership and invest $817 million to develop certain bitumen assets located in Alberta. Canadian Natural Resources Limited in its successful joint proposal with North West Upgrading Inc. to the Alberta Government to construct and operate a bitumen refinery near Redwater, Alberta through a partnership owned 50/50. Proponents in the closing of the $253 million Alberta Schools Alternative Procurement II Project. Hibernia Southern Extension Project consortium (ExxonMobil Canada Properties, Chevron Canada Resources, Suncor Energy Inc., Canada Hibernia Holding Corporation, Murphy Atlantic Offshore Oil Company Ltd. and Statoil Canada Ltd.) on the Hibernia Southern Extension Project offshore Newfoundland and Labrador, including unitization and other commercial arrangements among the members of the consortium and arrangements with the Province of Newfoundland and Labrador on the fiscal regime, benefits and equity participation. Hebron-Ben Nevis Consortium (Chevron Canada, ExxonMobil Canada, Petro-Canada and StatoilHydro Canada Exploration & Production Inc.) on the Hebron-Ben Nevis Development Project offshore Newfoundland and Labrador including proposed arrangements with the Province of Newfoundland and Labrador on the fiscal regime, benefits and equity participation. Chambers Canada: Canada’s Leading Lawyers for Business, 2019: Recognised Practitioner, Energy: Oil & Gas (Transactional). Lexpert Guide to Leading US/Canada Cross-Border Corporate Lawyers in Canada - "Corporate Lawyers to Watch" (2013). 2012 Lexpert Rising Stars – Leading Lawyers Under 40 . The Best Lawyers in Canada, 2017-2019: Oil & Gas Law. Legal Media Group Expert Guides: Leading Practitioners in China 2011: International Energy – Canada. The Legal 500, 2019: Recommended Lawyer, Energy and Natural Resources: Oil & Gas. Extractive Sector Transparency Measures Act - Are you on the right track? Paula Olexiuk, Procurement Law – Tips and Tools to Ensure Compliance and Keep You on Track, Canadian Institute (CI) Energy’s Mastering RFPs for a Winning Supply Chain Conference, March 10, 2015, Calgary. Paula Olexiuk and David Tupper, The Art of Negotiation: A Calculated Approach to Reaching Mutually Beneficial Terms, CI Energy’s Annual Supply Chain Contracts for Energy Conference, June 23-24, 2014, Calgary. Angela Avery, Peter Glossop and Paula Olexiuk, “Foreign Investment in Canada’s Oil and Gas Sector: New and Emerging Challenges”, (December 2013) 51 Alta. L. Rev. 343, presented at the Canadian Energy Law Foundation (CELF) 2013 Jasper Research Seminar, June 19 to 22, 2013, Jasper. Paula Olexiuk and Raj Dhaliwal “Procurement Law: A Workshop on Tenders and Requests for Proposals”, Osler breakfast seminar, March 15, 2012, Calgary. Paula Olexiuk and Neal Ross, The Annotated Purchase and Sale Agreement – Asset, Stock and Merger Deals, Major Business Agreements – Insight Conference, January 25 to 26, 2011 and January 24 to 25, 2012, Calgary. Paula Olexiuk, Robbie Armfield and Daina Kvisle, “Fiduciary Duties of an Operator”, (June 2011) The Negotiator (CAPL). Janice Buckingham, Paula Olexiuk and Martin Ignasiak, British Columbia Government Investment Support for Shale Gas – Montney/Horn River Infrastructure Finance & Development Summit – Bringing Gas and NGLs to Market, April 27-29, 2011, Calgary. Paula Olexiuk, Dan Dubois and Sander Duncanson, "The ROFR Exemptions Under the CAPL Operating Procedures:Understanding the Differences", (January 2011) The Negotiator (CAPL). Janice Buckingham, Paula Olexiuk, Terra Nicolay and Lawna Hurl, “Tendering and Purchasing Law in Upstream Oil, Gas and Oilsands:The Competitive Bidding Process and Obligations when Contracting for Work”, (January 2010) 47 Alta. L. Rev. 497, presented at the Canadian Petroleum Law Foundation (CPLF) 2009 Jasper Research Seminar, June 17 to 20, 2009, Jasper.